Bihar minister's son behind communal tension. 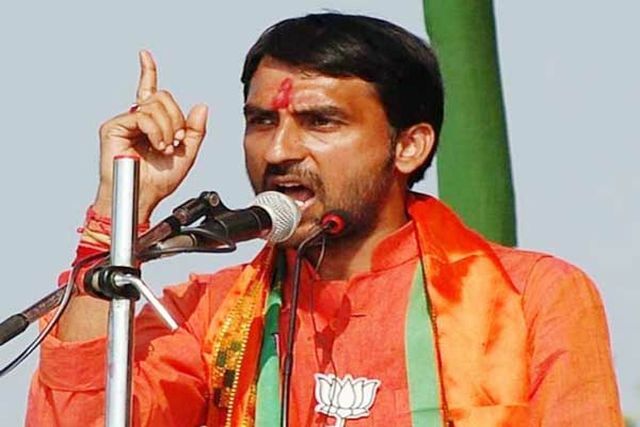 Patna : A case was lodged against Minister of State for Health and Family Welfare Ashwani Choubey’s son in connection with communal clashes during a procession in Bihar’s Bhagalpur district, police said on Monday. “Two cases were lodged in in connection with the clashes two days ago. The first was against taking out the procession without permission, inciting communal sentiment and roaming on roads with displaying arms in which Choubey’s son Arijit Shashwat and 20 others were named as accused,” police officer Md Janeefuddin told.